Grand Central Publishing, 9781455584925, 384pp. In James Patterson's sensational mystery, NYPD Red discovers a chilling conspiracy that terrifies the city's most powerful. Zach and Kylie's New Year's celebrations are cut short when they're called to the home of billionaire businessman Hunter Alden, Jr. after he makes a grisly discovery in his townhouse garage. When Alden's teenage son goes missing soon afterwards, and his father seems oddly reluctant to find him, Zach and Kylie find themselves in the middle of a chilling conspiracy that threatens everyone in its wake-especially their city's most powerful citizens. 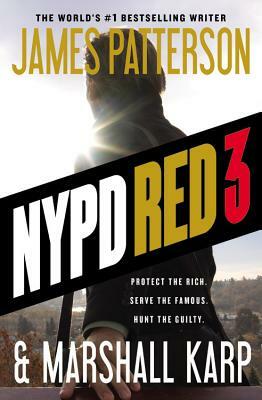 NYPD Red 3 is the next sensational novel in James Patterson's explosive new series, a thriller that goes behind the closed doors of New York high society and into the depths of depravity.